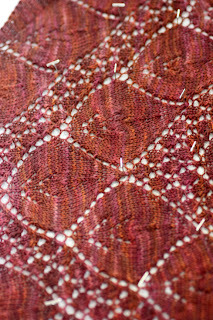 After my shawl (#1 for Y4!) came home with me, I ripped it all out. But it wasn't a sad thing. Not at all! The earlier version gave its life so that future generations could be made better and more beautiful. And I'm really happy with the way the plan is coming together. The original version didn't have the lace inserts between the Vs of leaves (or really they look like little trees), it had a textured panel instead. Totally didn't work for me. The original also didn't have the scalloped edge, which I love in the new version! 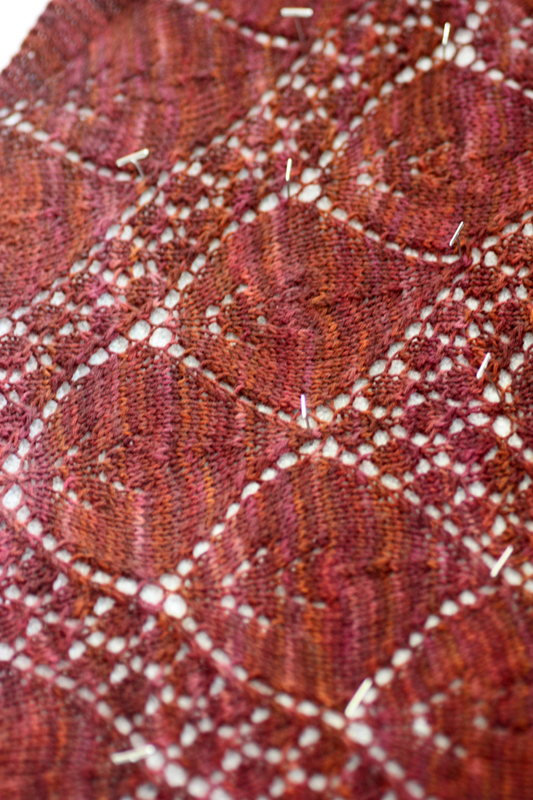 I also decided to do a second version in the lovely Bliss sock from Saffron Dyeworks. 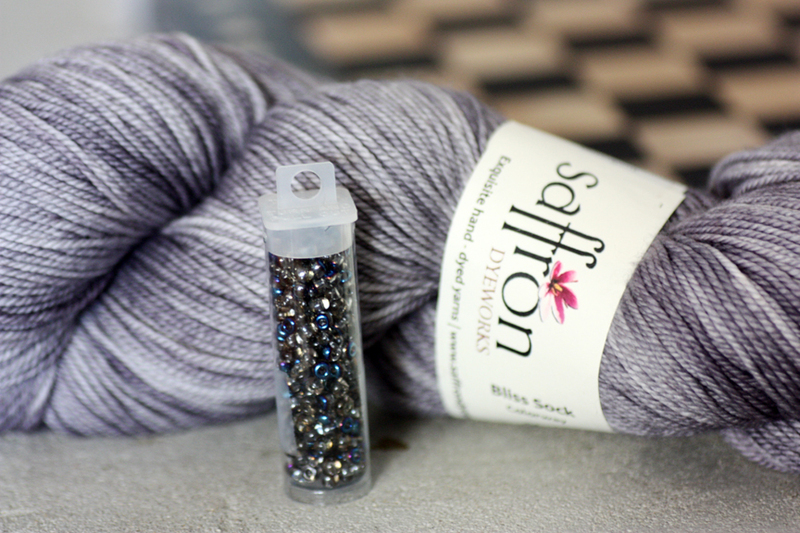 The colorway is Noble, and it's a perfect grey. Dee also sent some beads to go with. Yum! 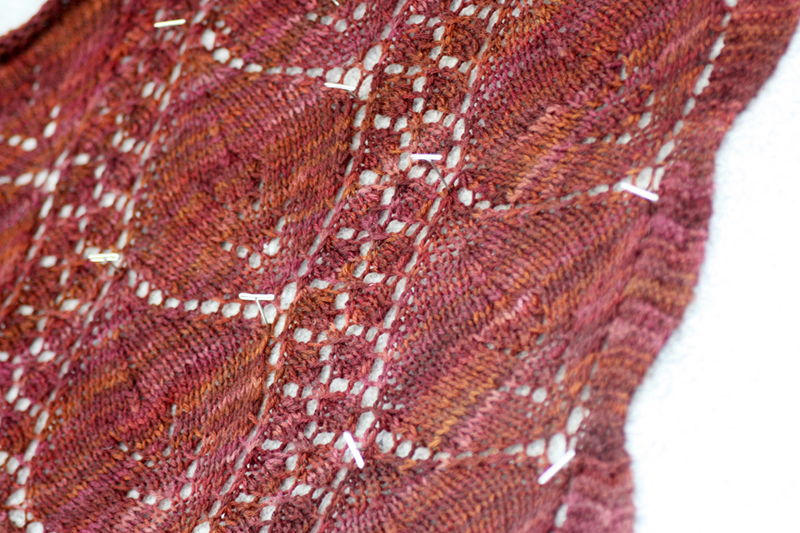 I started this one with a plain stockinette section between the rows of little trees. I love the way the center of the stockinette section worked out. Sometimes (often?) plain is just perfect. 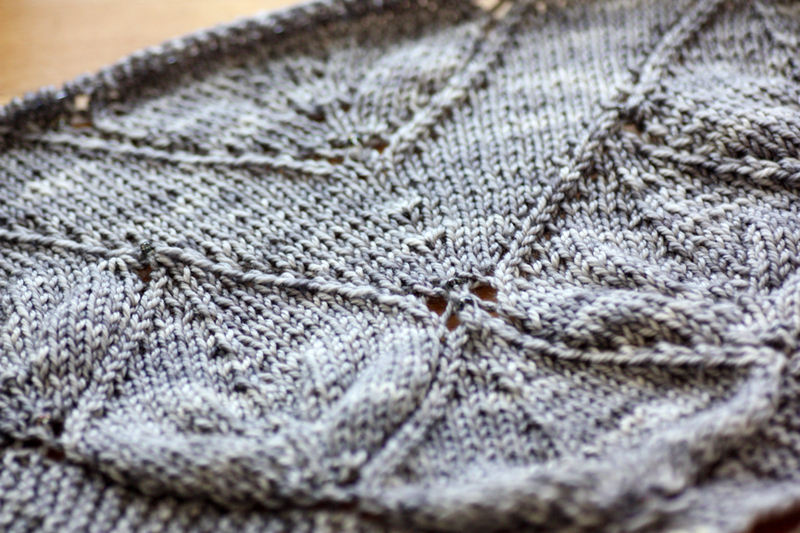 This one is all fun, since I worked out the chart the first time through, along with a great way to simplify the instructions that I hope you'll love! It saves you from having to look at monstrously huge charts. Back to knitting for me! (And I promise to tell you more about the boat a little bit later). Chomping at the bit, so to speak! I'm a gonna LOVE it. Absolutely gorgeous! 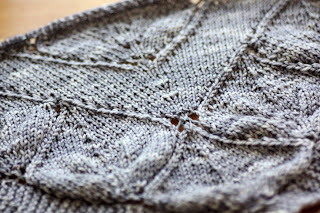 I can't wait to see (and knit!) the whole thing. Definitely going into my queue once you publish it. I like the way this is looking! so different and interesting. Once again, glad I subscribed to the year of patterns. Who cares about the boat, when there are such gorgeous sneak peaks?!!! I love both versions, but I love the greyish color more. Can't wait to see it finished. Beautiful! I can't decide which version I like better the elegance of the lace or the simplicity of the stockinette, both very lovely. I've got some Saffron Dyeworks Noble in my stash! Perfect!